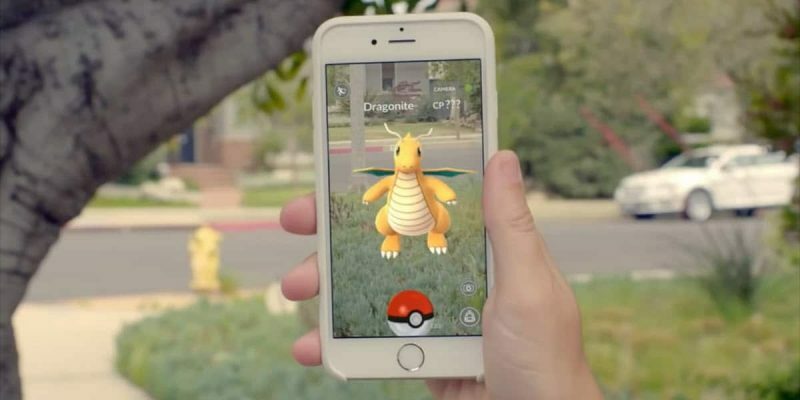 Pokémon Go is an awesome game and its record-breaking user base is enough proof. Nevertheless, it’s also full of bugs and glitches but one is particularly annoying. I’m sure most players woke up with a frozen Poké Ball when trying to catch a wild Pokémon, and all that’s left to do is close the app and lose your catch. Not necessarily – there are some ways to fix the freezing Poke Ball bug, on both Android and iOS mobile devices. The methods differ between the two platforms but they do work most of the time, giving you a much better chance to fix the freezing Poke Ball bug and catch that pesky Pokémon. For most bugs, there’s at least one workaround (although they can remain undiscovered) and the freezing Poké Ball has more than one. A good clue that you’re about to experience it while trying to catch a Pokémon, is your item bag, camera, and other icons disappear (like in the image below). If this happens, you should wait for the small white Poké Ball to spin and stop several times – this usually takes between 30 seconds and 1 minute. Then, you should throw a Poké Ball while avoiding the Pokémon (it doesn’t work if you actually hit him). If the icons become visible again, you can go ahead and try to catch the Pokémon (we can all thank this Reddit user for his invaluable input). Of course, for this method to work, you’ll spend an extra Poké Ball but at least you will be able to catch that rare Pokémon and not waste the opportunity. It seems that for some players, Poké Balls freeze even if the icons don’t disappear. The cause of the Poké Ball freeze bug seems to be the game is unable to communicate with the servers properly. Definitely not a surprise, considering how crowded they are. Restarting the app in such a situation can result in a caught, or lost Pokémon (the outcome seems to be random). But there is another workaround you can try. According to many users, you should watch the small, white Poké Ball as it spins and when it stops, force stop the app (don’t just close it). Assuming the Pokémon didn’t escape, when you restart the game, the catch will be registered and you will find the Pokémon in your inventory. 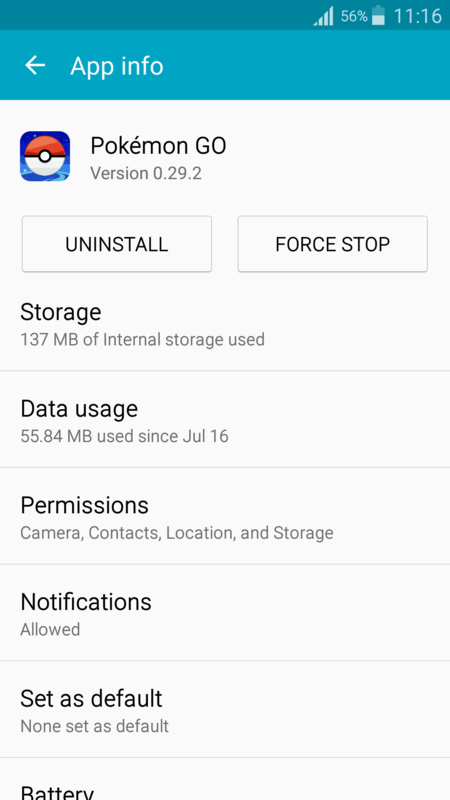 To force stop Pokémon Go, go to Settings -> Application Manager -> Pokémon Go and tap on the ‘Force Stop’ option. This doesn’t guarantee a catch, but even if you don’t have the Pokémon in your inventory after the restart, you have a good chance to still see it on the map and attempt another catch. Another method that seems to also work for many people is to use the AR toggle to force reload the UI. Yes, you might not have the AR toggle on-screen while the Poké Ball is frozen but you can tap the area where it’s supposed to be until the interface reloads. This forces the UI to reload by resetting the capture cam and in many cases allows you to try to catch the Pokémon again. On iOS, there’s a different method to help you fix the freezing Poké Ball bug and we can thank another Reddit user for his awesome find. After you throw a Poké Ball and successfully hit the Pokémon, it will bounce up right before the catching animation. 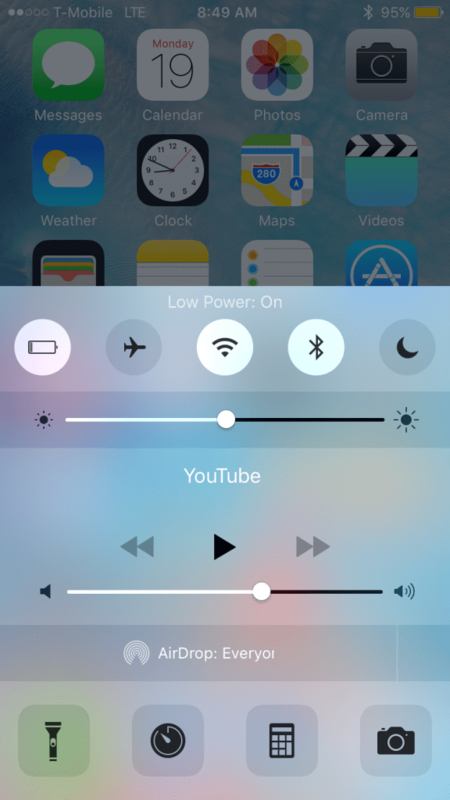 At that point, you should swipe up from the bottom of the screen to open the Control Center. Let go and wait for a few seconds then drop it back down (you need to let go for this to work). This method should prevent the freezes from happening. So it doesn’t work if the Poké Ball is already frozen but it is a simple and convenient way to minimize the chances of the Poké Ball freeze bug from occurring. Do you have other useful tips that can help solve freezing Poké Ball issues? Let us know in the comments section. Share this post if you liked it and don’t forget to follow us on Facebook, Twitter and Google+ to stay up to date with the latest apps, games, guides and everything Android, iOS and Windows Phone.